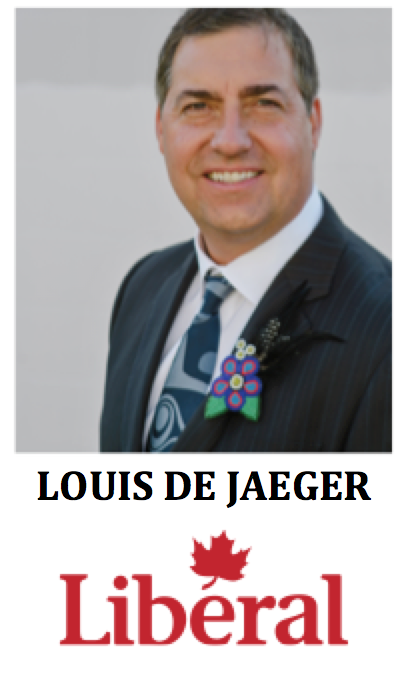 Indigenous Politics #IndigPoli: Louis De Jaeger, Chilliwack Métis Businessman looking to take Fraser-Hope for the Liberals. 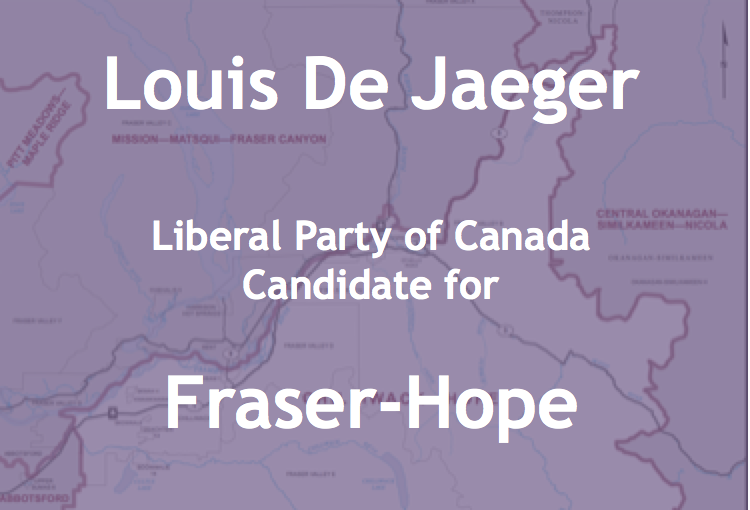 Louis De Jaeger, Chilliwack Métis Businessman looking to take Fraser-Hope for the Liberals. 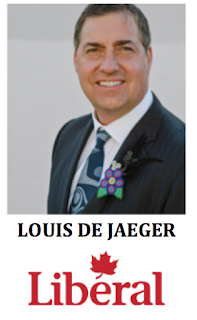 Louis De Jaeger is a member a member of the Métis Chilliwack Association of Scottish-Cree ancestry who traces family lineage to John Norquay the first Métis Premier of Manitoba. 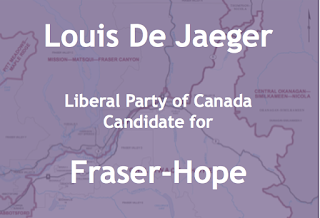 Louis is the federal Liberal candidate for the riding of Chilliwack-Hope. - - Louis a businessman who has thirty-give year background working in the hospitality industry, he is the owner of the Bravo Restaurant and Lounge in Chilliwack. 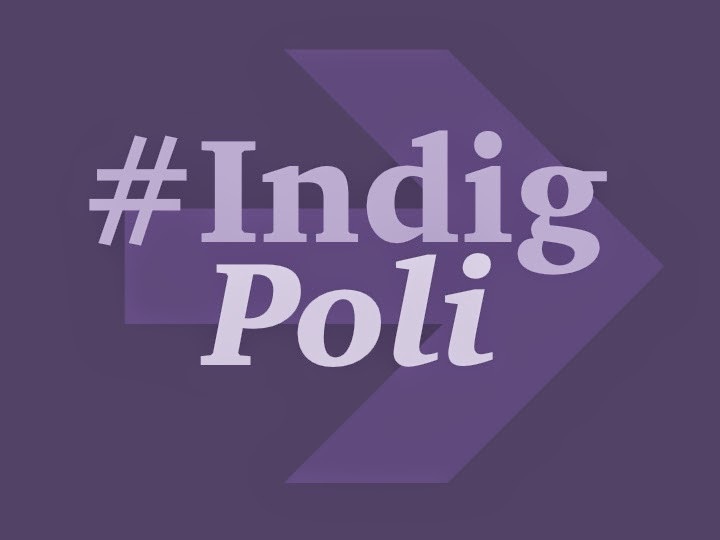 - - He has worked with various levels of government including federal, provincial, municipal and First Nation. - - He’s community leadership includes a Board Member for the Stó:lō Community Futures and Chilliwack Business Improvement Association. - Louis achievements include 2011 winner of the Outstanding Achievement BC Aboriginal Business of the Year; fourth time winner dinning excellence award from the Chilliwack chamber of Commerce; and sixth time winner of the Vancouver Playhouse International Wine Festival. - - Chilliwack-Hope is a new riding that is compromised from a portion of the larger previous riding of Chilliwack-Fraser Canyon in the south-west interior of British Columbia. The riding has an Aboriginal population of 8,355 or 9.5% of total riding population (2011). The riding includes several Stó:lō First Nations including Cheam, Skwah, Skowkale, Tzeachten and Soowahlie First Nations. 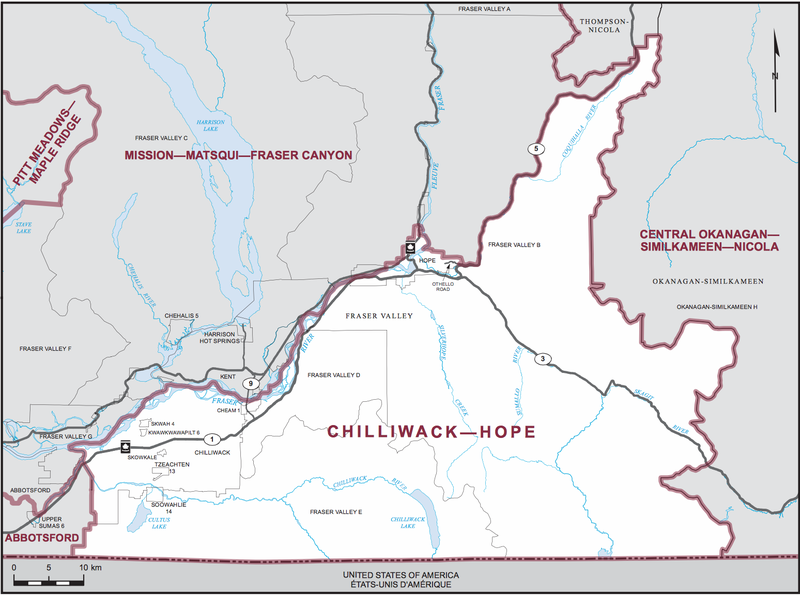 - - The current Member of Parliament for Chilliwack-Fraser Canyon is Conservative Mark Strahl who is the Parliamentry Secretary to the Minister of Aboriginal Affairs and Northern Development and sits as a member of the AAND Standing Committee. He is the son of former Minister Indian Affairs Chuck Strahl. Mark is the Conservative party candidate for Chilliwack-Hope.